I've been quite excited about today's post, and wanted really to post this yesterday already, but didn't have the energy to paint my face so I had to postpone this with a day. 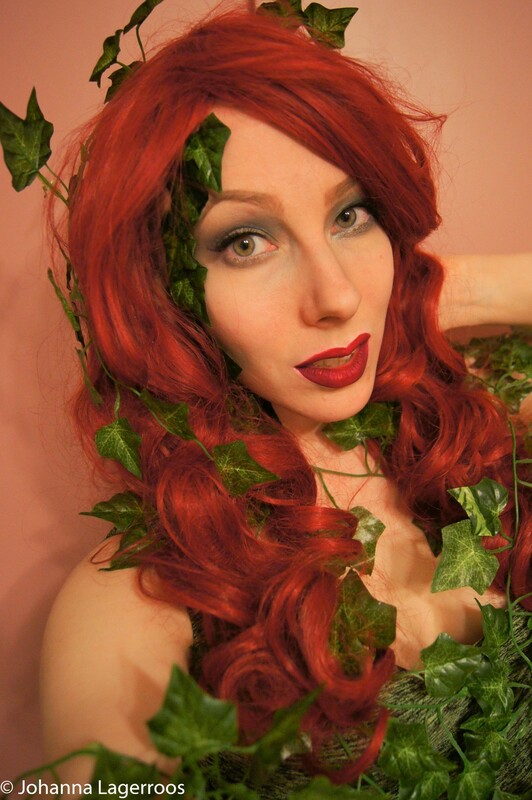 Which may mean that I have to give up on one Halloween post unless I get sudden inspiration for a look. But I've still planned few posts already that will be up no matter what. So don't worry. Today, however, let's focus on another costume post. 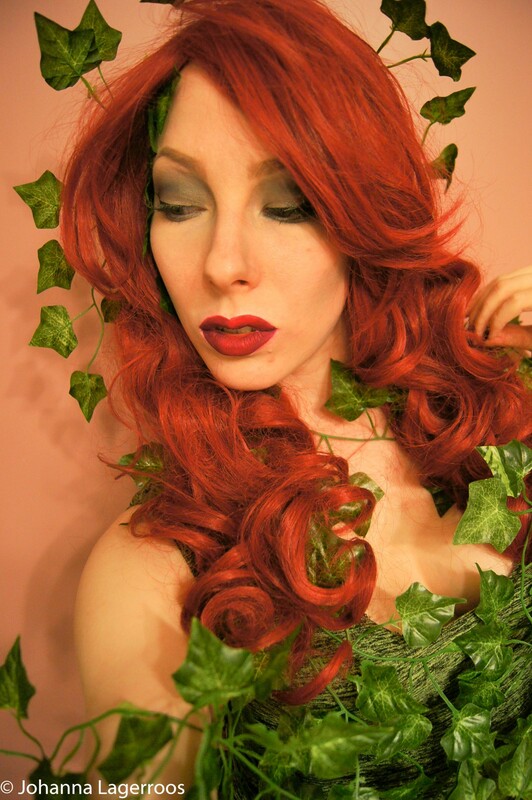 As you can see, this look is my interpretation of Poison Ivy. 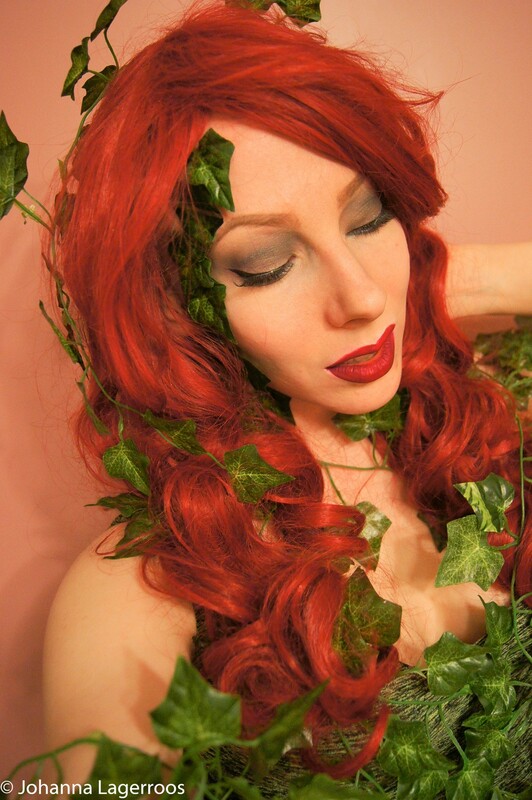 I've been wanting to do this one for years, but only now do I own a red wig so this looks true to the character unlike my blonde hair with purple tips. Not to say this look would be that canon, but you know, recognizable at least. For this look, I created a greenish eye makeup with some xoBeauty lashes. Also I felt like dark red lip was the only possible choice for the look. 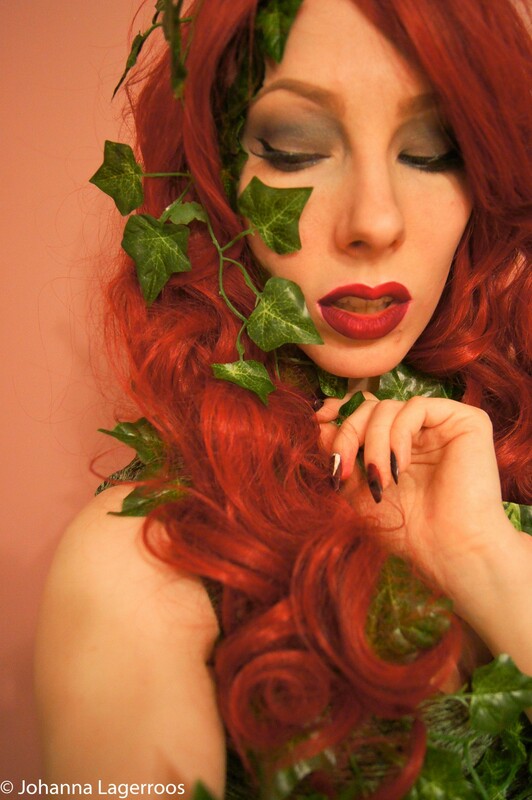 I glued some ivy leaves with Duo lash glue on my face and neck to give more character to the look. 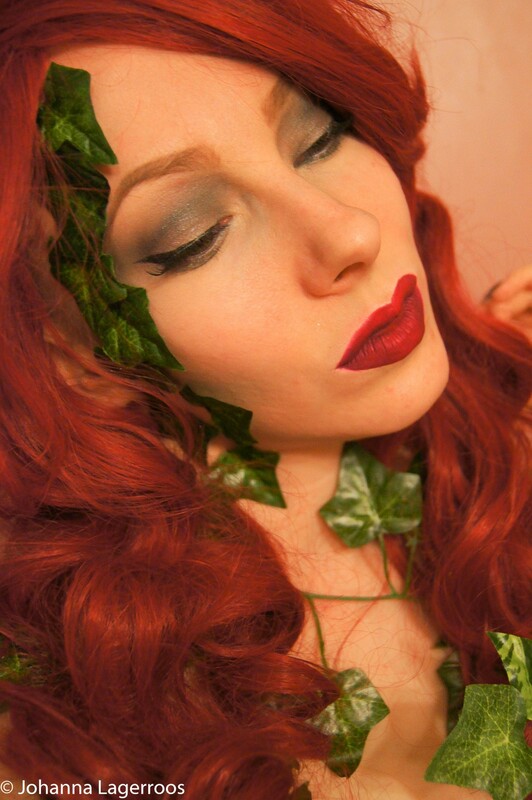 I was actually quite happy how this one turned out, even though the makeup was quite the quick one. There are very cool, more complicated face paint looks out there, but I wanted to keep this simple. 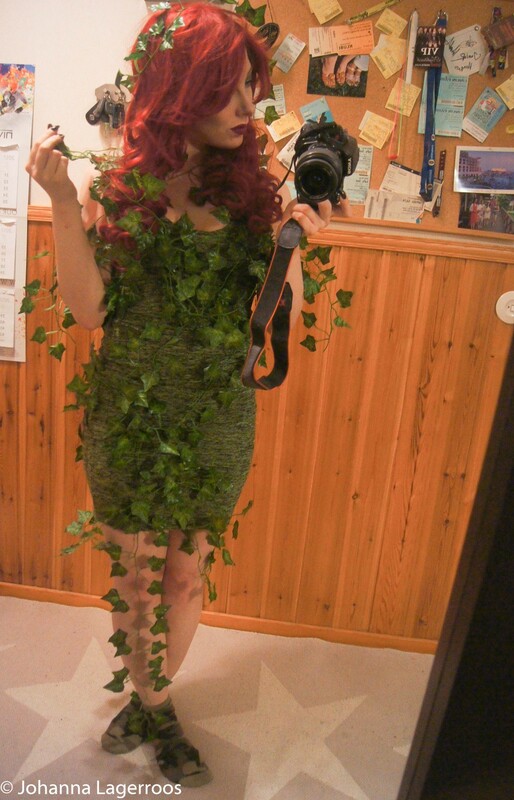 For the costume, I made a simple green bodycon dress and wrapped some decorative ivy around it. The plant is inexpensive wedding decor I found from a party supply store, and it loved to tangle around itself which actually was a big pro for this look. 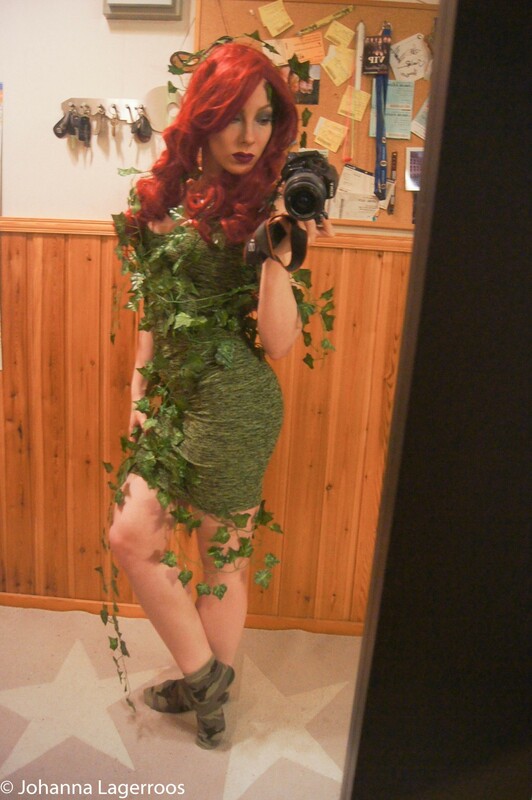 I know the camo socks aren't the sexiest footwear for this costume but I to be honest I was too lazy to find shoes that matched the best. But I would say thigh high boots or some other feminine shoes would do the trick and make this look complete. What do you all think about this costume? Let me know in the comments below! I'm hoping you guys liked this post, since I sure had fun creating it. The only thing that really bothers me about doing this kind of posts is the lack of proper light in this time of the year. Since I don't have a studio or anything like that for taking pics, these don't turn out as great as I would like to. But it could be worse, right? Anyway, next post will be a nail art one, and after that I'll only have a couple of posts before it's Halloween. See you on the next post! 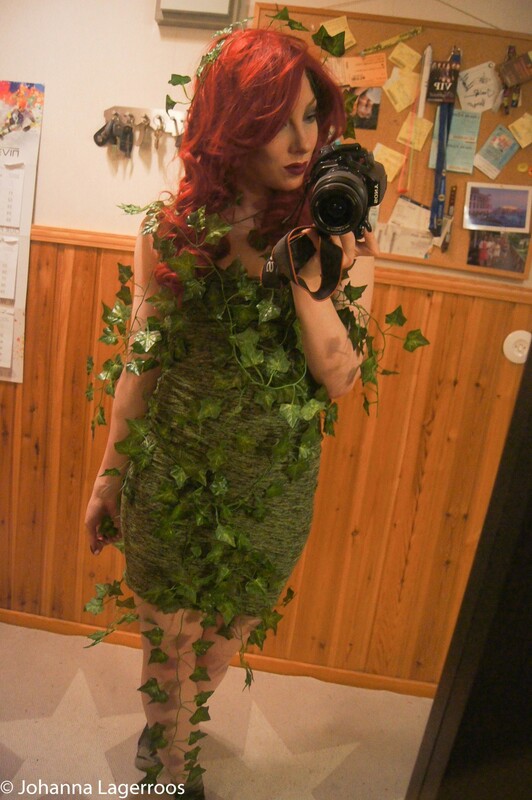 Very creative idea and for this kind of outfit I don't need to much stiff for it. By the way this make-up and hair color suites you very good.